In this full day mixed media workshop we will complete a 6 x 6 inch wooden box using pewter, polymer clay and paper. 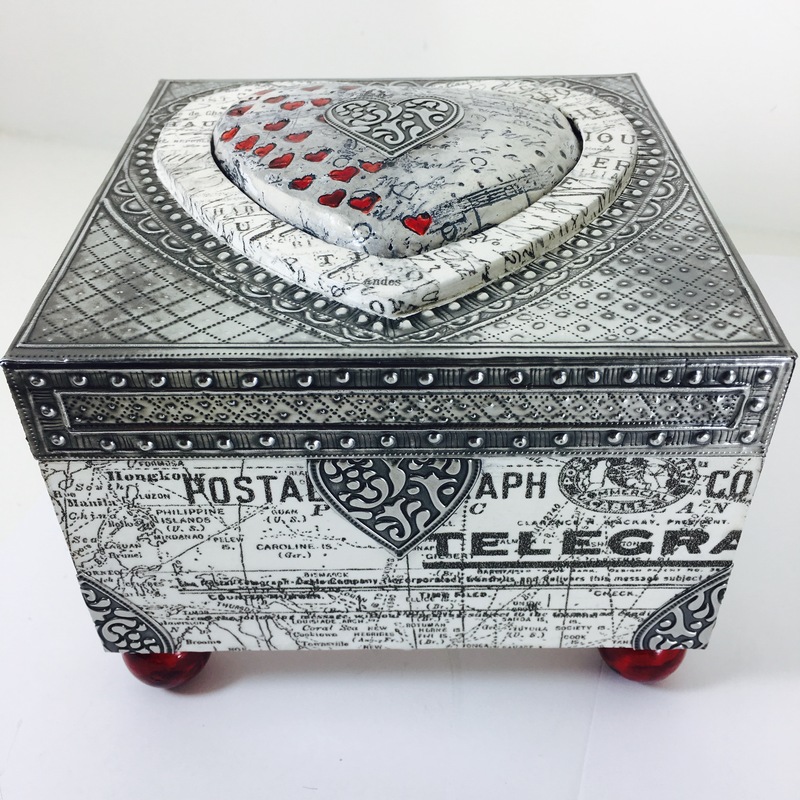 You will use basic metal embossing tooling techniques and pewter oxidization, create a polymer clay heart using clay, stamps and inks and lovely text print papers. All supplies are included as well as class tool use.